Natural disasters can happen anywhere, anytime. Be it from flooding, hurricanes, tornadoes, earthquakes, national emergencies, or manmade disasters; our city water systems or private wells can be compromised. Flooding often fouls municipal water systems. Earthquakes break pipes and infrastructure causing water contamination. Power outages from storms or summer heat leaves people without the electricity required to move water to their taps. Pipes and infrastructure carrying our water can be disrupted and contaminated with chemicals and microorganisms such as germs, bacteria, and viruses. On top of having a bad odor and taste, contaminated water can cause diseases such as dysentery, typhoid, hepatitis and more.  All water of an uncertain source or quality should be treated before using it for drinking, food preparation, or hygiene. During and after natural disasters and emergencies, a person can only go a few days without clean, safe water. It is always wise to have an alternative source of safe drinking water - an emergency water purification system. Affordable, cost-effective, and easy to use, The Outback™ is the perfect emergency water source for you and your family. The Outback™ is a critical component of any emergency preparedness or food storage program. Designed for long term use, The Outback™ is a gravity-powered system that purifies water from almost any fresh or moving* water source. Both rugged and durable, The Outback™ is designed to be used when municipal supplies are compromised or are not available, though easy enough to use in long term camping or outdoor activities from individuals to families and large groups. The Outback’s™ design has been proven effective by rescue, relief, and religious organizations in Latin America, Africa, the Middle East, and Asia. It is currently used by organizations such as The U.S. Government, the American Red Cross, Youth Mission, the Boy Scouts of America, Samaritan’s Purse, the LDS Church, NW HardRain Expeditions, a multitude of local fire departments, and is widely used by missionary and government organizations throughout the world. In addition to its invaluable use during emergencies, The Outback™ is recognized as the most crucially important component of any well planned Emergency Preparedness Kit or a Food Storage Kit. It’s the missing piece of any food storage puzzle - eliminating the need to store huge quantities of water per person. All of this design and heavy duty use - while being simple enough for a child to operate, letting gravity do the work for you. Just pour water into the upper chamber through The Outback’s™ pre-filter net to remove large particles of sediment and debris. The various Outback™ systems deliver 6 to 48 gallons of purified water per day, depending on on the system type and source water conditions. FEMA, the American Red Cross, and other agencies recommend an emergency water supply of at least 1 gallon of potable water per person per day. Most purification systems produce only enough water for an individual, while The Outback will easily purify water for an entire family for the duration of an emergency. Outback™ portable water purification systems eliminate harmful bacteria and viruses, including E.coli, Cholera, Hepatitis and Polio. The "FF" systems' 0.5 micron filter removes cysts to levels exceeding EPA standards - achieving greater than 4 log (99.99%) reduction rate as tested by NSF (National Sanitation Foundation). Additional purification can be gained through the use of chlorine or iodine. The "NF" systems (using the "Nano" pre-filter) go farther by removing viruses - achieving greater than 4 log (99.99%) virus reduction rate. Just pour the raw or questionable water through the Pre-Filter net and into the upper pail or optional gathering pail. (The Source water container). Stage 1: Pre-Filter net removes debris and large sediment particles. This is not necessary when using an OB-NF system because the NF7 filter removes viruses, along with bacteria and cysts. Stage 2: The Pre-Filter sleeve removes contaminants down to 5 microns in size. Stage 3: In the OB-NF - The finer filtration of the electrostatic Nano Pre-Filter removes microbial contaminants such as bacteria and cysts and viruses. In the OB-FF - The Sediment Pre-Filter removes contaminants down to 0.5 microns in size, including the removal of bacteria and cysts - but not viruses. Stage 4: A Multimedia cartridge removes many industrial and agricultural contaminants as well as chlorine, iodine, bad tastes, and odors. OB-25: 12" x 12" x 24"
OB-22: 9" x 9" x 18"
OB-25: 12" x 12" x 16"
OB-22: 12" x 12" x 12"
Still unsure that The Outback™ is the answer for you? Below is a comparison chart of emergency use products which will help you make a decision. Many of these products are clearly NOT practical for emergency preparedness, food/water storage, or for other disaster relief applications, as many of these devices are only designed for recreational use. *Emergency planners (FEMA and RED CROSS) recommend a water supply of 1 gallon/day per person for drinking and hygiene. Evaluation based on 4 people. ** Bottled water pre-treatment varies from brand to brand, is not regulated and cannot be verified. *** Cost represents bulk rate cost without consideration of yearly replacement, disposal cost, etc.